PALERMO, Italy — Joseph Mifsud, the mysterious professor at the center of the Trump-Russia probe, was due in court in Italy on Wednesday. But he didn't turn up, and neither did his lawyers. During the hearing in Palermo, Sicily, the prosecutor described Mifsud as a “peculiar subject,” and said that all attempts to reach and notify the Maltese professor had been unsuccessful. The prosecutor also noted that since the investigation had begun, Mifsud had become a character in Robert Mueller’s inquiry into the election of US president Donald Trump in 2016, but stressed that the Russia probe had no link whatsoever to the case in Sicily. Mifsud has been accused, along with two other individuals, of unjustifiably inflating salaries at a university consortium in Agrigento, Sicily, which he presided over nearly a decade ago. The fact that he was a no-show in court today means that he has effectively renounced the chance of defending himself, and a verdict will be reached in his absence. Prosecutors revealed that they went looking for Mifsud in January 2017 at his last known address in Rome, but nobody was home. The property’s doorbell didn’t have the Maltese academic’s name on it, and neighbors told a judiciary official that they’d never seen the professor. “The subject is not known. There are no apparent signs of his presence," the judiciary official's report, read out in court, said. It was also revealed in court on Wednesday that a second attempt to find Mifsud took place in July 2017 with efforts led by judicial police authorities. The officers were unable to find the professor. BuzzFeed News understands from sources at the court who were not authorised to talk about the details of the investigation that officers also attempted to look for Mifsud at the university in Rome where he was listed as heading up a course in international relations. The court was told that Mifsud disappeared after giving an interview to Italian newspaper La Repubblica published on November 1, 2017. "We don't know who he is," they told BuzzFeed News. Joseph Mifsud (left) during a program at Link Campus University, in Rome. The journalist who did the La Repubblica interview has previously told BuzzFeed News that it had taken place the previous day, on October 31. The professor has since gone underground. In March, BuzzFeed News revealed that he'd cut off all contact with his girlfriend in Ukraine after an on-and-off relationship lasting more than three years. The 31-year-old woman, who claims Mifsud is the father of her newborn child, said during an interview in Kiev that she hasn’t heard from him since he became the focus of world media attention as the professor who allegedly delivered word of Hillary Clinton’s stolen emails to Trump's campaign. Mifsud, whose current whereabouts are unknown, has not responded to repeated requests for comment. According to court documents, the academic allegedly told former Trump campaign aide George Papadopoulos that the Russians had thousands of emails from the Democrats in April 2016, two months before the Democrats themselves were aware that their computer system had been hacked. Mifsud is alleged to have told Papadopoulos he’d learned of the emails during a trip to Russia. Papadopoulos is reported to have later shared the information with the Australian high commissioner to the UK, whose government passed the information to US authorities after WikiLeaks began publishing the emails in July 2016. That information prompted the FBI to launch the investigation that Mueller now leads. I am an italian journalist. 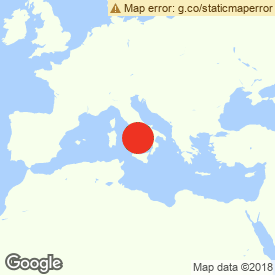 I live and work in Palermo, Sicily. Contact Riccardo Lo Verso at riccardoloverso@libero.it.